You may think of rum as an island booze best left to fruity drinks and swim-up bars. But you don’t know rum. Unlike bourbon or scotch, which are forced to meet very strict aging and fermenting requirements, rum can be anything from a single-barrel spirit aged in old wine casks to a clear liquor filtered, like vodka, through charcoal. In Martinique they make an earthy version, called rhum agricole, from pressed sugarcane juice. (Most distillers use molasses.) Demerara rum, made in Guyana, is typically rich and full-bodied, with a hint of smoke that comes from being distilled in wooden stills (as opposed to copper). Really, the only common ground is that they’re all made from sugarcane byproducts. And the ways you can drink them are just as diverse, from those fruity boat drinks to vermouth-heavy cocktails. 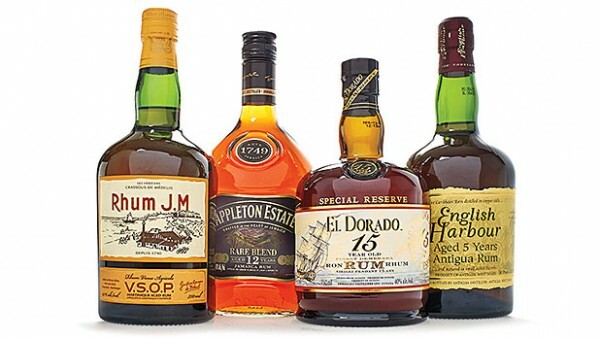 The heat of the Caribbean actually intensifies the barrel-aging process, and you can find some gorgeous, complex rums that are less than 10 years old — and eminently more affordable than similarly aged whiskeys. And like a good bourbon, they’re best served neat or on the rocks. Even if you drink them poolside. Stir with ice, then strain into a cocktail glass. Garnish with a lime twist.